Download the FREE Survox Dialer Data Sheet Now! 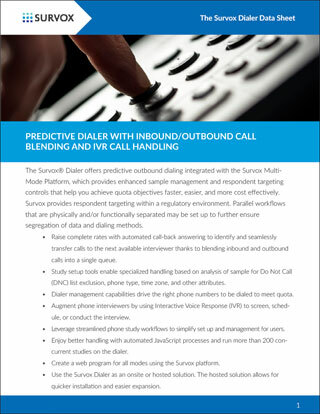 Blend Predictive Dialing, Inbound & Outbound Calling and Enhanced Sample Management. Download the FREE Data Sheet Now!